Though such meetings are rare, they are not unprecedented and can happen several times a year. There is “no cause for alarm” over the health of Queen Elizabeth II and her husband after a meeting of all royal staff sparked frenzied speculation, a source told AFP Thursday. Television crews descended on Buckingham Palace at dawn after a newspaper report of a “highly unusual” staff meeting prompted speculation of an imminent royal announcement. The palace officially declined to comment. 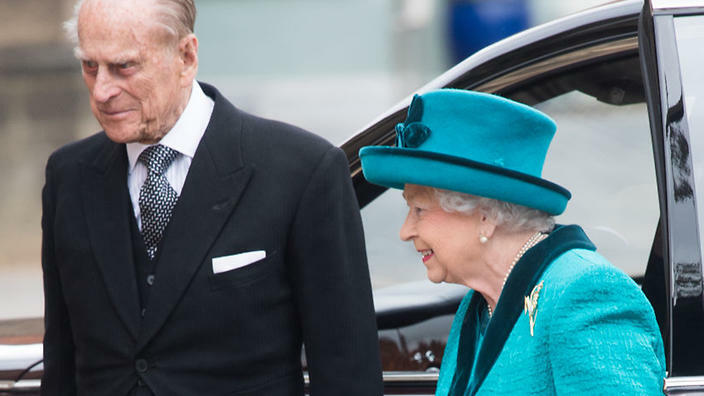 The Daily Mail report sparked global speculation about the health of the 91-year-old queen and her husband Prince Philip, who turns 96 in June. A few curious royal watchers joined more than a dozen cameras outside the gates of the palace, the queen’s London residence. “My cousin got in touch with me from LA. And he said there was something going down in the palace,” said 40-year-old American actress Kim Tatum. The queen returned to London on Wednesday after spending the Easter break at Windsor Castle. She met with Prime Minister Theresa May during the afternoon, to mark the dissolution of parliament ahead of the June 8 snap general election. Her husband Prince Philip opened a new stand at Lord’s cricket ground.